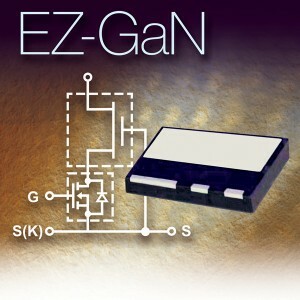 The TPH3002LD and the TPH3002LS are 600-V Gallium nitride (GaN)-based, low-profile power quad flat no-lead (PQFN) high electron mobility transistors (HEMTs). The HEMTs utilize Transphorm’s patented, high-performance EZ-GaNTM technology, which combines low switching and conduction losses, reducing the overall system energy dissipation up to 50%. The TPH3002PD and TPH3002PS HEMTs are designed for use in smaller, lower-power applications (e.g., adapters and all-in-one computer power supplies). The HEMTs feature a Kelvin connection to isolate the gate circuit from the high-current output circuit to further reduce electromagnetic interference (EMI) and high-frequency switching capabilities. Evaluation boards are available with the devices.